Automation! Clouds! 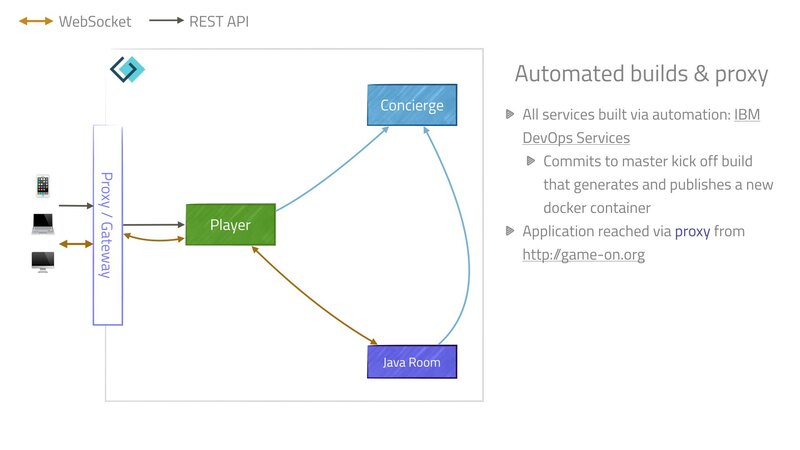 · Exploring Microservices — Game On! Automated build pipelines arrived! and Docker containers out in the cloud! Thankfully for those of us doing most of the dev work, the creation, testing of the delivery pipeline was pretty transparent. The build pipeline is triggered by a commit to the master branches of our repositories, which means no change to our usual workflow. A proxy was added to help route requests between the services and docker containers, and to give us a seamless domain space (gameontext.org).